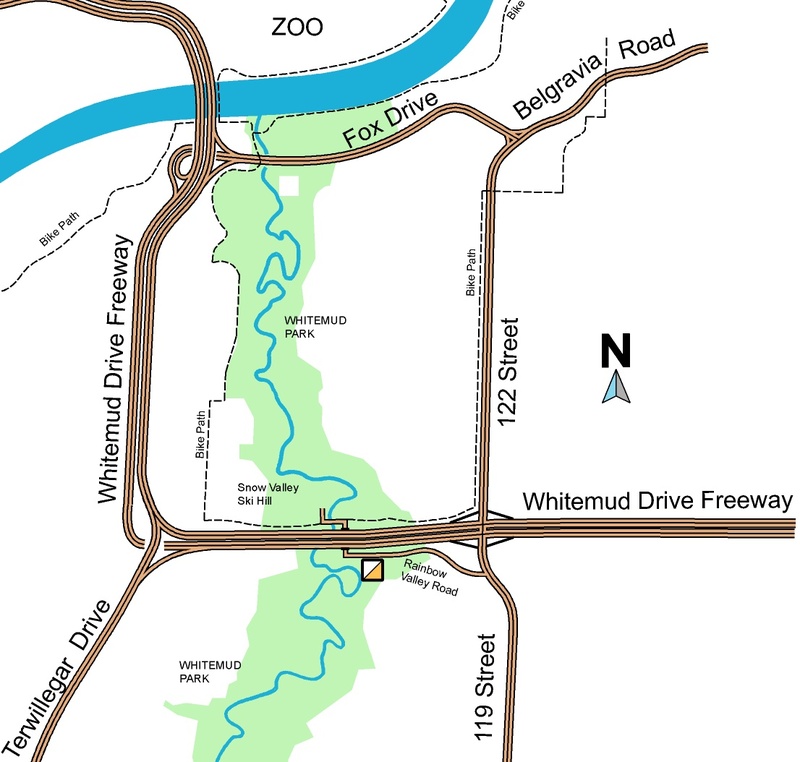 Access to the park is west off 119/122 Street, just south of the Whitemud Freeway, onto Rainbow Valley Road. Registration for the event will be in the parking lot BEFORE going under the freeway; additional parking (and a porta-potty) in the north lot. ETS: routes 50 and 53 from the South Campus LRT station stop on 119 Street.